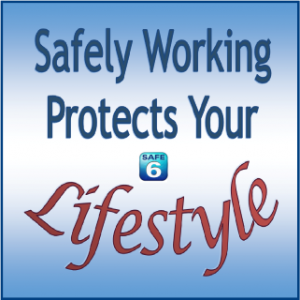 “Safely Working Protects Your Lifestyle” is our theme for 2015. So, to start the New Year out right, The Safely Working Project is making it easy to introduce Safe 6 into your workplace. Here’s what you need to do. Browse to Safe6.org and register as a new user (if you are not already registered). New users will be approved within 24 hours, usually. Approval is required to prevent Forum Spam and to protect you. Once approved, you will be linked to a limited access area of the forum with instructions on ordering your Safe 6 Kit. There is no cost to register on the Safe 6 Forum and there is no cost for the Safe 6 Kit. It will be sent to you free of charge. No credit cards will be requested and your information will not be shared. This offer is limited to addresses within the United Sates. So, why are we doing this? 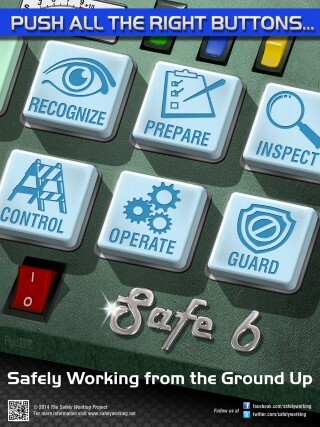 We want Safe 6 to become an everyday feature in your workplace. If we can increase the user base of Safe 6 we anticipate getting more practical feedback that will be used to improve Safe 6 and the tools and guides developed by The Safely Working Project. The only request we have is that you share your experience on Facebook, LinkedIn or in an email to us.